Autumnal scenes in and around Paris have been so glorious this week that this Pumpkin Pecan Chestnut Flour Tart was inspired simply by such spectacular leaf colours. Autumnal colours in Le Vésinet, west of Paris – inspiration for a pumpkin pecan chestnut flour tart! Each time Autumn arrives, the family always ask for this Chestnut Flour Tart with Mushrooms since we all agree it’s special: it tastes like Autumn on a plate. It is simply divine and worth the effort to make the pastry. It’s vegetarian, although we don’t mention this to Antoine, as he thinks we’re not feeding him otherwise. Somehow the lush, smooth taste of the chestnut flour pastry base fools us into thinking that there’s bacon or chicken in it – but no, it’s totally veggie. Having enjoyed my daughter, Julie’s presence so much while home from university these past few days, I’ve been away from le blog. How the time races while perusing bookshops for literature books and spending quality time together over pots of tea! The result? Expect many recipes and articles over the next couple of weeks! So watch this space. Luckily I snapped this shot just as the sun was fading in the Tuilerie Gardens. Night is falling now at 5pm and if I don’t act quick, there’s no point in taking photos in artificial light. As soon as we returned home, we were craving our favourite Chestnut flour tart. However, just before it was served, this night photo didn’t do it ANY justice. This time I made the filling with more autumnal orange, green and different brown leaf shades. Much more pumpkin replaces the mushrooms, plus leek, sage, toasted pecan nuts are thrown in for le crunch, and a thin topping of emmental cheese, gratinéd nicely while the tart is baking. 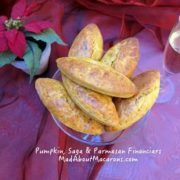 French potimarron or Japanese (red kuri squash) pumpkin is best for this tart recipe, as it is less watery, a bit floury and even tastes of chestnut. I thoroughly recommend using it, otherwise butternut squash is also good. Update: However, if you use regular pumpkin or butternut squash – as they give off more liquid, I would recommend blind-baking the pastry first for 20 minutes, covered in parchment and baking beans. We had scoffed the lot that evening – but it just so happened I had just enough chestnut flour pastry left to make two tartlets. Thank heavens, as the next day the sun came out and I could finally take a snap or two before these were enjoyed for a bonus lunch. If you follow me on Instagram or Facebook, I posted the videos on how to make the large tart on Stories. For some weird reason, I can no longer add these to Highlights so that you continue to see them (I’ve contacted Instagram several times with no response or help since May! If you have any ideas, please let me know what could be the problem – much appreciated). So, imagine the recipe instructions are for one large tart as you look at the tartlets. Baking tarts is made even easier with this clever oven-proof baking mat that’s rolled inside the rolling pin by Terraillon. Ever since I discovered this, I’m hooked! Chestnut flour is easily available in health food stores and in the organic healthy sections of many supermarkets. If you haven’t tried it yet, I urge you to do so. It’s one of the staple ingredients in Corsican cooking and powerful in flavour – that’s why I mix it with all-purpose flour. Please don’t be put off by making the pastry for this. You’ll discover the pastry is a pleasure to work with if you follow this recipe to the letter, using measurements in grams or ounces with a digital kitchen scale (find out here why measuring by weight rather than volume by cups makes baking life easier). It’s totally worth it – judge for yourself with these flavours! 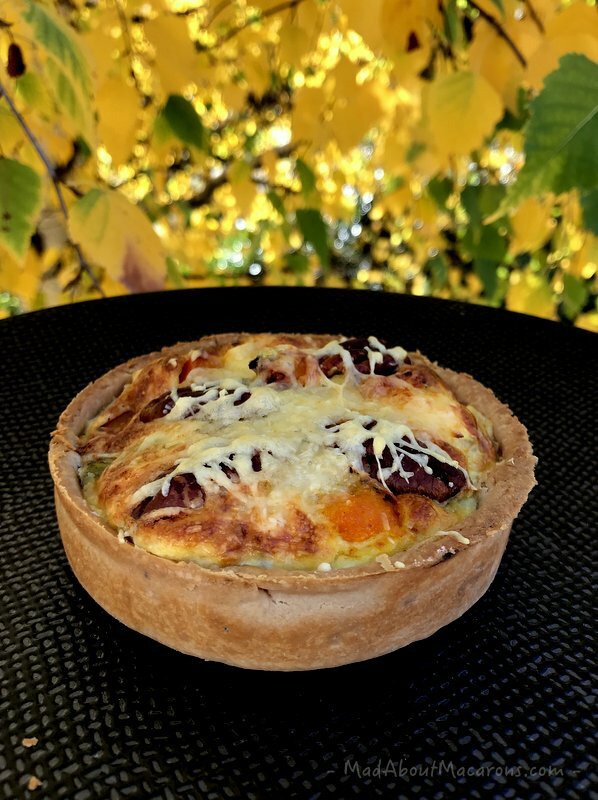 The most lush, smooth French chestnut flour tart with the colours and taste of Autumn: chestnut pumpkin (potimarron), leeks, sage, pecan nuts and topped with a fine sprinkling of cheese. 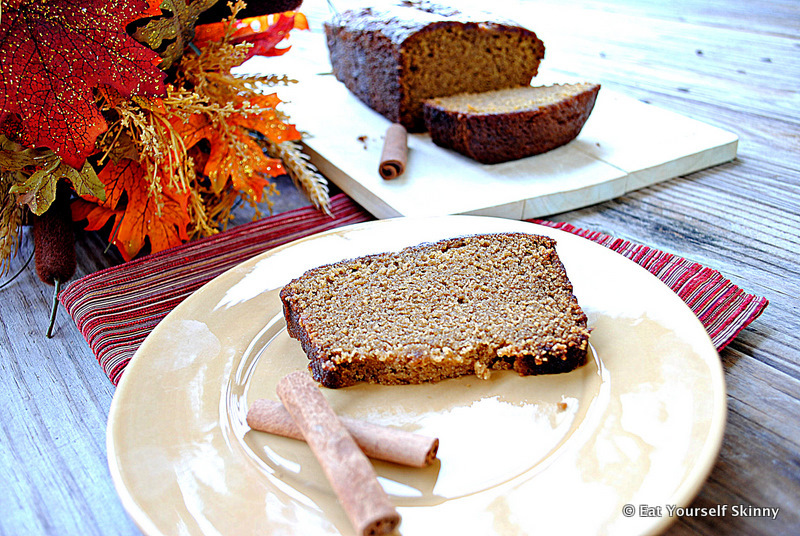 A great Vegetarian recipe for your holiday menu - and excellent served with leftover turkey. First, preheat the oven (for the filling) to 200°C/180°C fan/400°F/Gas 6. Mix all the ingredients together in a stand mixer or food processor and mix just until the dough forms a ball. Wrap in cling film and leave to rest in the fridge for 30 mins. Remove the dough from the fridge and stand about 10 minutes to make it easy to roll out. Roll out the pastry on a lightly floured surface then using the pastry roller, wrap around the pastry to transfer it to a loose-bottom tart tin (28cm). Press the pastry gently into the sides. Again with the roller, roll over the top of the tin to clean up the edges. Chill in the fridge for 40 minutes (this is important so the sides won't fall during baking later). * if using regular pumpkin which is more liquid, I'd recommend pre-baking the tart before filling it. Bake in the oven for 20 minutes covered in parchment and baking beans, then after filling the tart, bake for just a further 20-25 minutes. Roast the pumpkin whole in the oven for 15 minutes. This will make it easier to cut into slices. Let cool slightly then spoon out the seeds. Place the pumpkin with 2 tbsp of the olive oil in a roasting tin and roast covered in the oven for 20 minutes. Meanwhile, in a large frying pan, heat 1 tbsp of the oil and gently soften the leeks. As soon as they're translucent, turn down the heat to low and cover for 5 minutes to soften further. Whisk together the eggs, cream, sage, nutmeg, salt and pepper in a bowl. 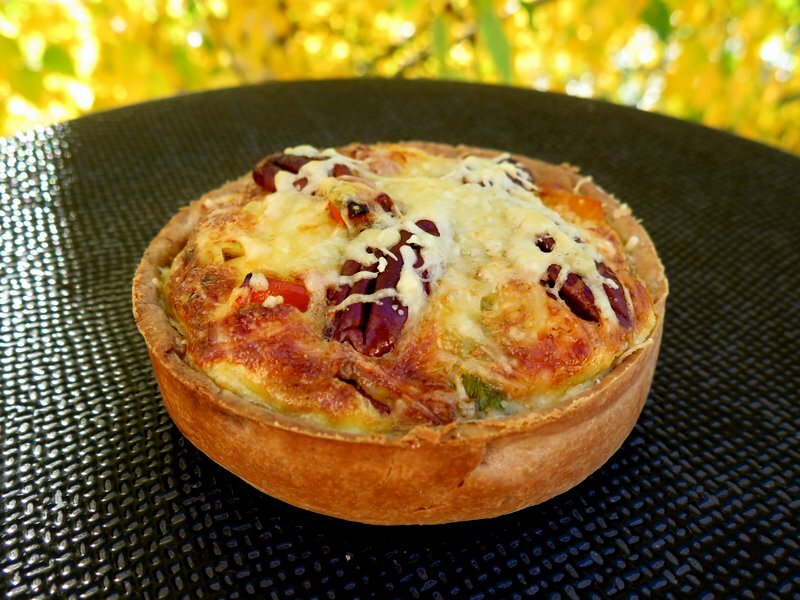 Spread out the roasted pumpkin evenly over the tart dough base, then the leek and pour over the creamy egg mixture. 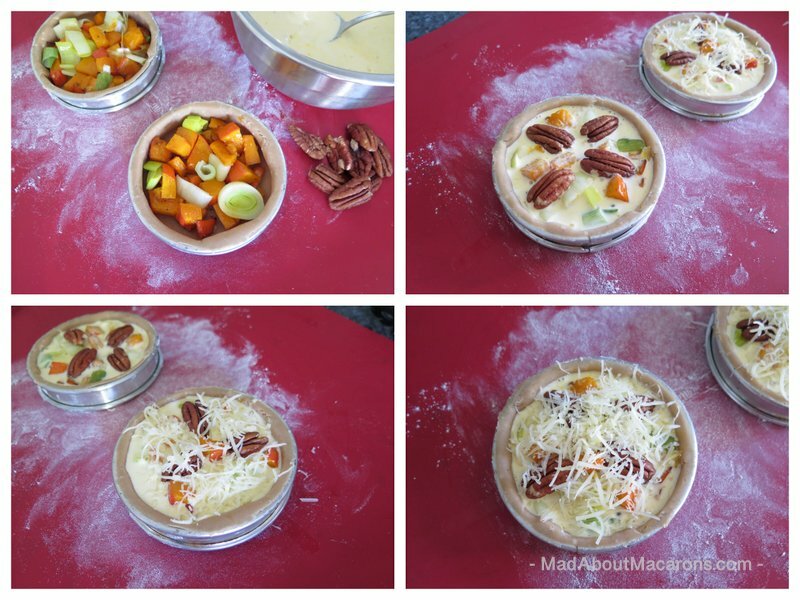 Top with the pecan nuts then the cheese and bake in the oven for 40 minutes (if making small tartlets, bake for only 25 minutes). Serve with a good Chardonnay or Chenin Blanc or a fruity red such as a Beaujolais Cru: Morgon, Brouilly, or Fleury. 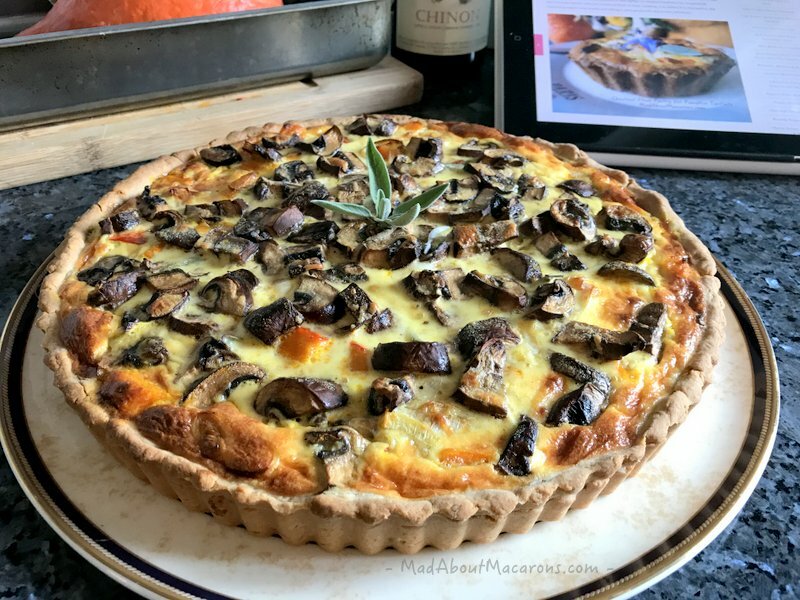 * if using regular pumpkin or butternut squash which both give off much more liquid, it's best to pre-bake the tart for 20 minutes. Blind bake covered in parchment and baking beans before filling. 650 calories per serving; 15g protein; 48g carbohydrates. 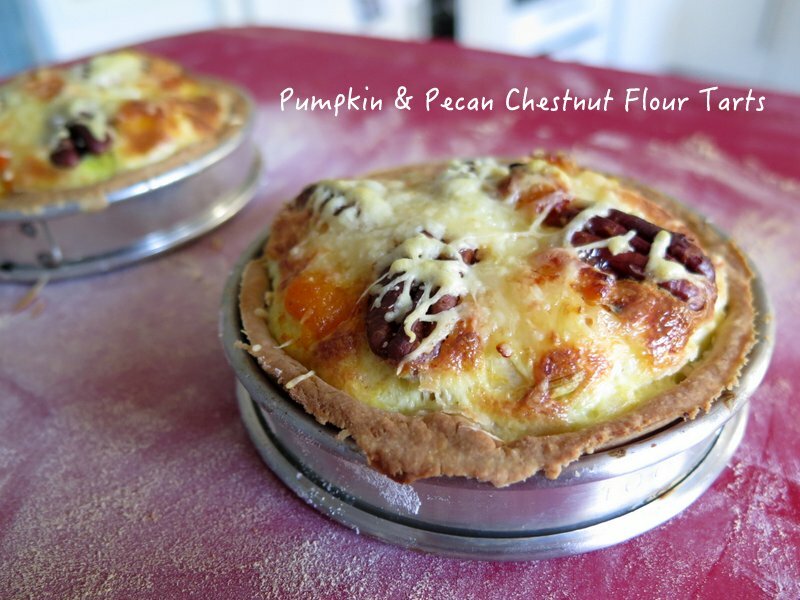 Have you made any of the recipes from le blog, my books, or fancy making this Pumpkin Pecan Chestnut Flour Tart? Please do make my day and leave a comment below or take a picture and hashtag it #MadAboutMacarons on Instagram or Facebook – or please just tell your family and friends about the website! PIN me, make me, tell me! Don’t forget that both recipe books, Mad About Macarons and Teatime in Paris (my personal favourite, as it’s macaron recipes and pastries too), are great gifts. If you grab your copy now, I can send you a personalised label to stick inside either book. Just let me know by getting in touch privately via this contact form with your address details, what you’d like me to say in particular, and I’ll send it out with the warmest of wishes to you. Glad I bought pumpkin flour in France this summer – planning to make this at Christmas, leaving out the leeks, as poor daughter is also developing intolerance to alliums. Perhaps substituting celery to give a savoury alternative to leeks, and tweaking the nuts to use walnuts instead of pecans, because walnuts and celery are a good pairing. Btw, chestnut flour is not at all easy to find in a shop in Scotland. Waitrose in Edinburgh doesn’t stock it, and if every there was a chestnut flour place it would be Waitrose. Neither does the home of all whole and health foods, nuts, pulses and different flours, Real Foods. Forget the major supermarkets. There are a few online stockists, including Shipton Mill and Buy Whole Foods Online – I get most of my nuts and seeds from the latter. Real Foods strangely had only one chestnut flour, online but multiple options for teff, amaranth, chickpea and quinoa flours! Och no, Linda – that’s so frustrating! As a francophile yourself, you’ll know that chestnut flour (farine de chataigne) is so popular hear and one of the staples used in Corsican cuisine. I’m so sorry that Scotland hasn’t got their act together but so happy that you got some in France recently. The flavour is nothing like the other flours and so delicious so i’m thrilled you’ll be making this at Christmas. I’m not a fan of celery (only thing I don’t like!) so imagine could be good. And yes to walnuts. Now I have a question for another recipe: can you get ready-cooked chestnuts (vacuum packed?) The French are crazy about chestnuts! Thank you for the Pumpkin Pecan Chestnut Flour Tart recipe Jill. I have a guest coming to stay in a few weeks who is vegetarian so I am going to practise a few times. I think the tart looks scrumptous. Guests deserve home made fare especially in the lead up to Christmas. Thank you also for recommending matching wines. I had forgotten about Beaujolais Nouveau. Will let you know when I make my first one. Great to hear, Thomasina. Don’t worry about your vegetarian guest – there are actually so many recipes here that are vegetarian and I haven’t even said so! 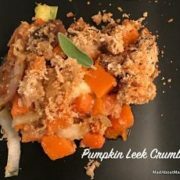 Even easier than the tart (if you’re not used to rolling pins and tarts etc), try the Pumpkin & Leek crumble recipe first and let me know! It’s delicious. Secret is the chestnut flour, though, and if you can get your hands on some ready-cooked chestnuts from the market or supermarket.